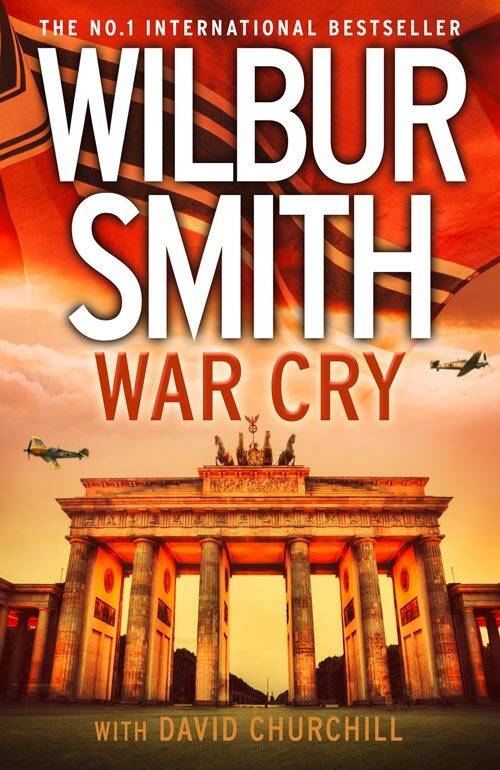 War Cry by Wilbur Smith is out now! A love story in the time of heroes, War Cry is the latest breathtaking episode in Wilbur Smith’s epic account of one beloved family. Saffron grows up on a sprawling Kenyan estate, under the watchful eye of her father, prominent businessman and distinguished war veteran Leon Courtney. Her childhood is idyllic, until a family tragedy forces her to grow up much faster than necessary. As she grows into a spirited teenager, her thirst for knowledge and adventure leads her to England, where she finds herself inevitably drawn into the heart of the gathering storm in the lead up to World War II. Gerhard von Meerbach is the privileged and idealistic younger brother of Konrad von Meerbach, heir to an industrial fortune, and vocal supporter of the Nazi Party. Gerhard struggles to stay true to his principles in an increasingly cruel world. His friendship with a Jewish man places him in danger, and forces him to take a stand against the forces of evil that have overtaken his country and his family. But, unknown to him, he is caught in a trap that could cost him everything he holds dear. As the Second World War looms over them all, Saffron and Gerhard’s worlds will collide – but will there be more to unite them than tear them apart? A love story in the time of heroes, War Cry is the latest breath-taking episode in Wilbur Smith’s epic account of one beloved family.